Master Sergeant John Joseph Shea III was born on April 12,1928 in Norwich Ct to the late John Joseph Shea Jr and Elsie Friese Shea . He passed away on November 4, at the age of 90 from Alzheimers Disease at his home in Mansfield Ct. He leaves behind his loving wife of 56 years, Anne L (Bradley) Shea and their five daughters, Anne Strate, Mary Klinkenborg (Joel), Theresa Fletcher (Wayne), Jennifer DeLaurentis (Joseph) and Patricia Hawthorne (Ryan). 11 Grandchildren Jennifer & Tyler Strate, Kyle, Emily, Kimberly & Zachary Klinkenborg, Jacob Fletcher, Matthew & Nicholas DeLaurentis, and Luke & Brooke Hawthorne. 3 Great grandchildren, Adriana, Mia & Annalise. 5 Brothers & Sisters Justine Olsen, Henrietta LaLiberty(Royce), Dennis Shea, Paul Shea (Leila), Elsie Shea. Along with several nieces and nephews. He was born in Norwich CT. Grew up in CT & Poughkeepsie NY. Worked at Thermos Co until he joined the United States Air Force in 1947 and retired in 1970 as a Master Sergeant. He was a draftsman and a recruiter during his Air Force Career. He lived in Wyoming, Massachusetts, Korea, Maryland and retired and moved his family back to Mansfield Ct so they would grow up near extended family. He worked and retired from the United States Post Office in Willimantic for 20 years. Then was a bus driver in Lebanon Ct and ended his employment days as a greeter at Walmart in North Windham. He coached baseball and molded a lot young recruits. 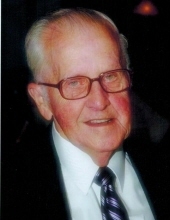 He enjoyed spending time with his wife and girls and loved his grandchildren and loved his coffee. Calling hours will be friday November 9 from 5-8 pm at Bacon Funeral Home 71 Prospect St Willimantic. A funeral mass will be held Saturday November 10, at 10 a.m. at St Philip Church 64 Pompey Hollow Rd (Rte 44) Ashford. To send flowers or a remembrance gift to the family of John J. Shea, III, please visit our Tribute Store. "Email Address" would like to share the life celebration of John J. Shea, III. Click on the "link" to go to share a favorite memory or leave a condolence message for the family.